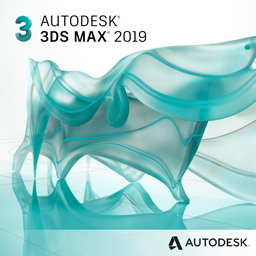 Autodesk® 3ds Max® 2019 software helps deliver improved productivity so that users can work more efficiently and creatively with modeling, animation, rendering and workflow updates. Smart Asset Packaging allows users to create, share, and update portable assets that are flexible, connected, and react to changes in design data. Customizable Workspaces offer a more responsive, modern, and personalized user experience, and Blended Box Map gives users the ability to morph visible seams by blending as many as six materials applied to an object. Finally, version 1.0 of the MAXtoA plug-in is integrated into 3ds Max 2019, giving artists access to Arnold’s latest features. If you’re interested in viewing a software demonstration of Autodesk 3ds, please contact our sales team. Applied Engineering is happy to schedule a face-to-face or web demonstration at a time that is convenient for you. Call or e-mail us if you are intersted in purchasing Autodesk® 3ds Max. Applied Engineering is authorized to sell Autodesk products throughout the United States and has offices in Minnesota, North Dakota, South Dakota and Wisconsin.